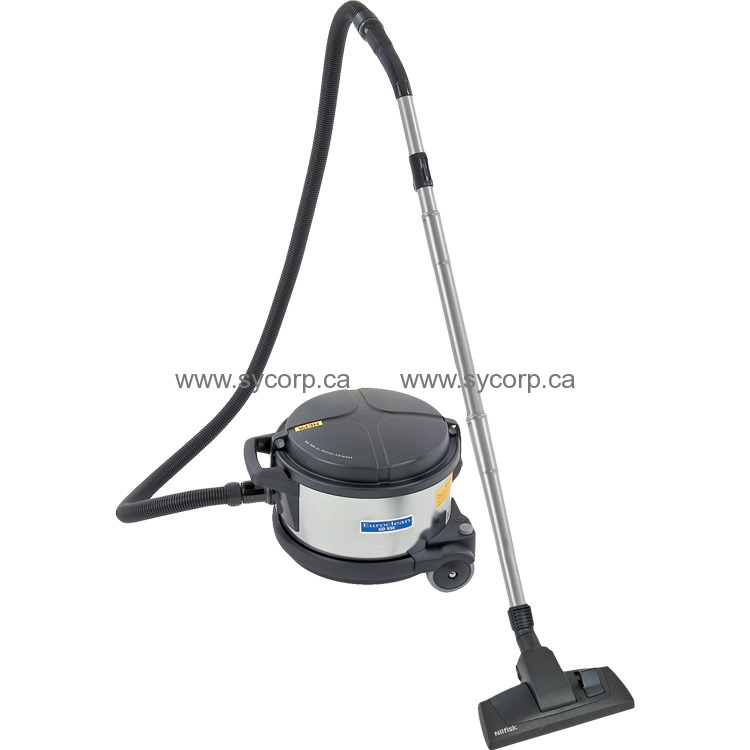 The popular Nilfisk Euroclean GD930 HEPA Vacuum is ideal for difficult environments. Rugged and durable, the GD930 HEPA vacuum is meant for big jobs where large capacity, high power suction, deep cleaning, low noise level, light weight, and portability are required. The Nilfisk-Euroclean GD 930 HEPA Vacuum Cleaner is gasketed, or sealed, and features an oversized, upstream DOP MIL-STD-282 HEPA filter which ensures that 99.97% of particles down to 0.3 microns are captured and not released back into the environment. The huge filter surface area also results in less restricted air flow, maximizes vacuum performance no matter what type of material is being vacuumed, and extends the time before the HEPA filter needs to be replaced. The Nilfisk-Euroclean GD 930 HEPA Vacuum Cleaner features Euroclean's largest dust bag (4 gallons) so that you can vacuum longer without having to stop and change bags. 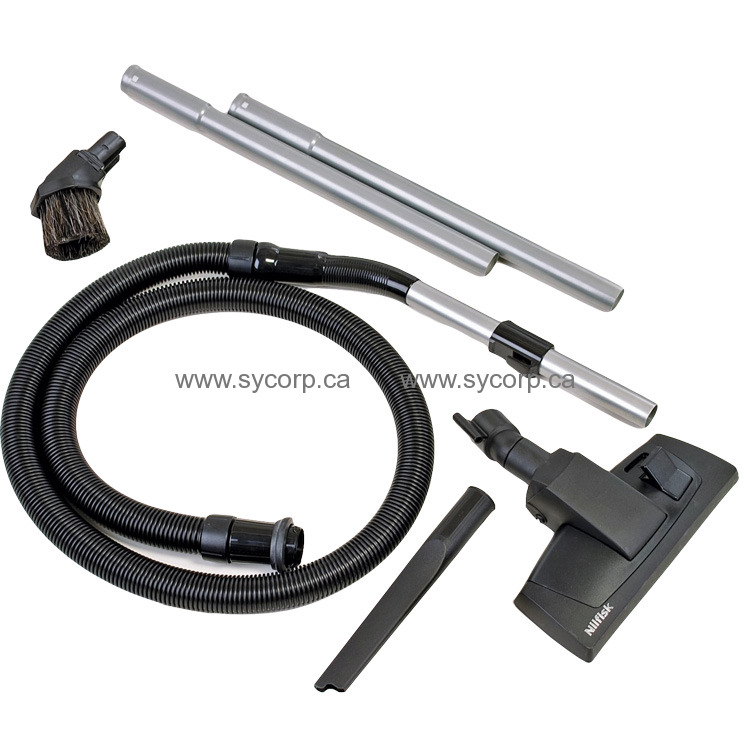 Standard equipment includes brand new vacuum, pre-installed HEPA filter, motor protection filter, 1 standard dust bag, 6 ft hose, telescopic wand, crevice tool, brush, and standard combo floor nozzle. An optional air-driven beater bar nozzle is available. Please see ordering information at bottom of page for prices for the beater bar and extra filters and bags, and discounts for Kit options. 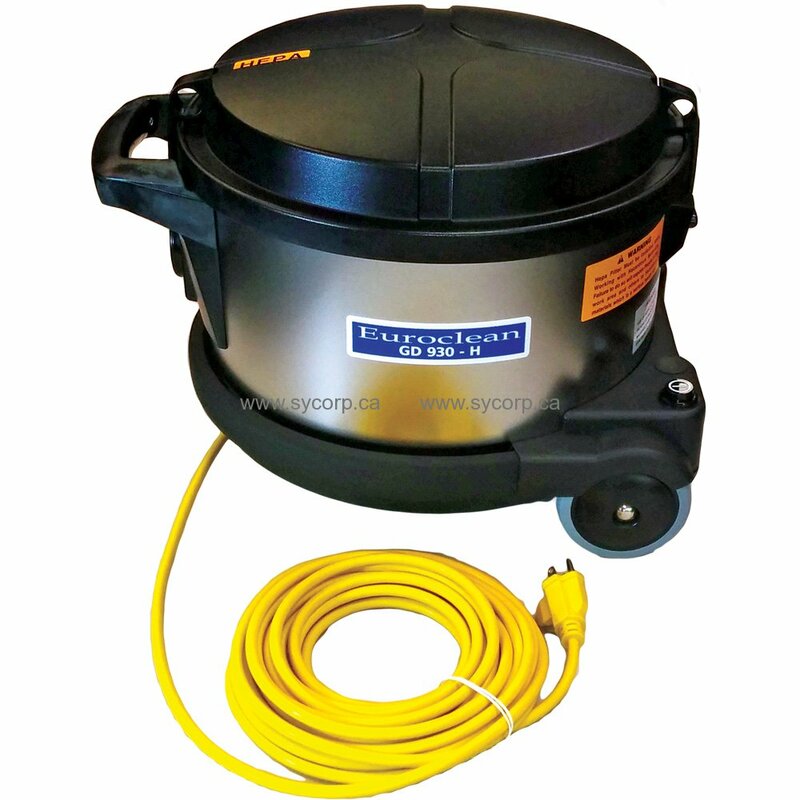 We placed an order for the Nilfisk HEPA vacuum on a Monday and received it the next day which is amazing as we live a good distance from Richmond, BC. The vacuum is excellent. We wish we had ordered it years ago. Excellent customer service as well.